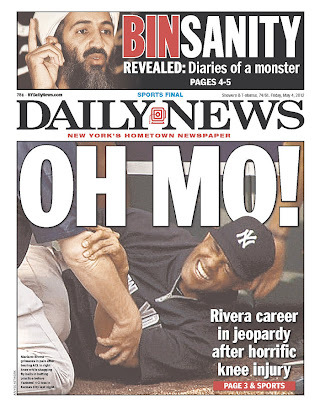 Remember, last May, when Mariano Rivera was innocently shagging fly balls and he tore the crap out of his right ACL - requiring surgery? Well, earlier today, the Yankees and Rivera returned to the scene of the crime - Kauffman Stadium in Kansas City. The future HOF Yankees closer has since healed and resumed his routine of shagging fly balls. Today, when Mo walked to the outfield he was greeted by a chalk outline of the spot where he blew-out his knee. Along with the body outline was a sign designating the area as a "No 'Mo' Zone." Don't you just wish you could jump in a time machine and go back? Unfortunately, the human race hasn't perfected time travel yet - however - you can do the next best thing. On Thursday, June 20th at 7:08 PM the Detroit Tigers are hosting Zubazpalooza III. 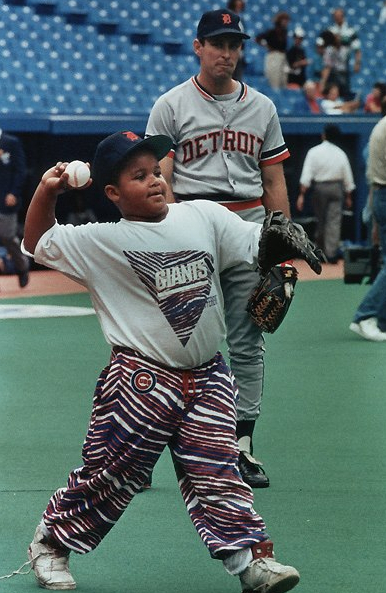 Fans can purchase a special ticket package that includes tickets to see the Tigers take on the Red Sox, a pre-game party at the Hockeytown Café, a sweet pair of Zubaz pants and a Zubaz headband!! !